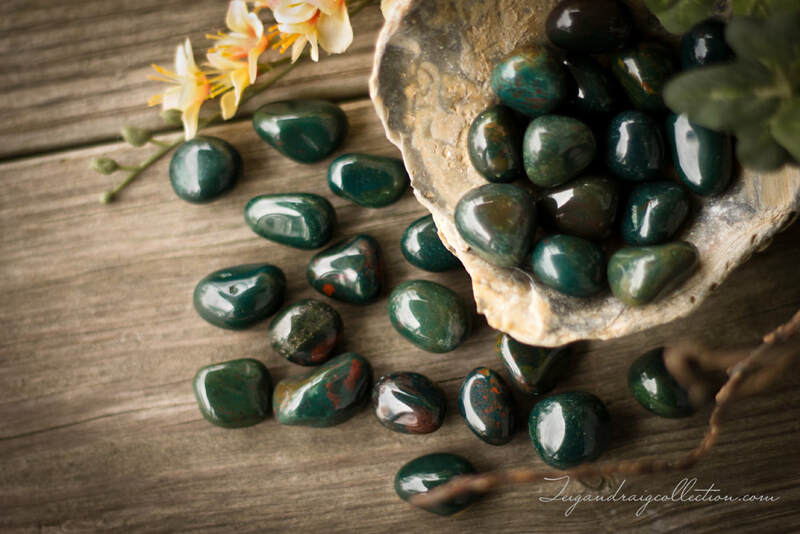 Bloodstone is a powerful healing stone, especially for physical ailments. It is an excellent blood cleanser and fortifier that aids in the circulation and regulation of blood flow. Bloodstone detoxifies the liver, kidneys, intestines, spleen, and bladder. 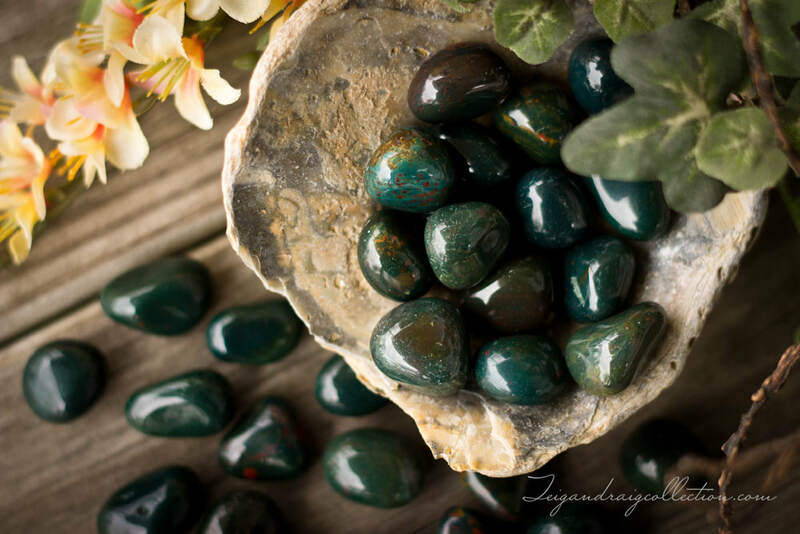 Bloodstone stimulates the lymphatic system, neutralizes toxins, and helps heal inflammations and infections. Bloodstone is grounding and protecting to help dispel negative environmental energies, and helps to overcome geopathic and electromagnetic stress. It encourages creativity and heightens intuition. 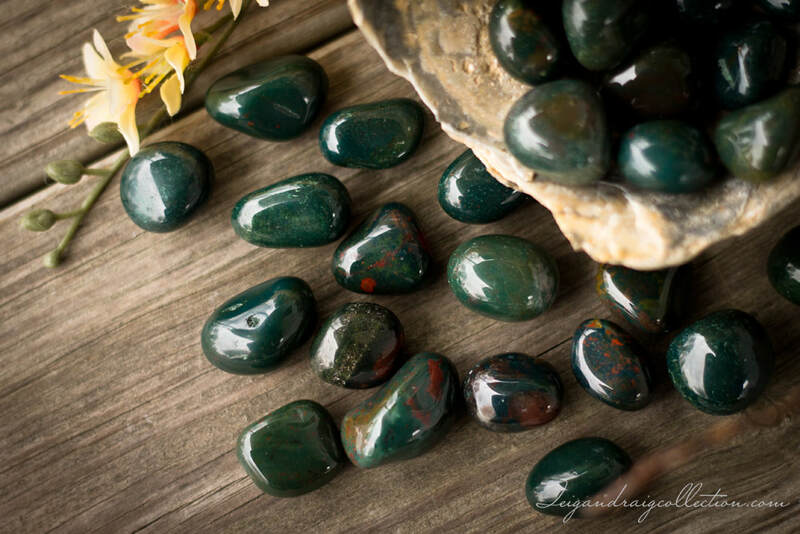 Bloodstone is calming and revitalizes the mind to facilitate decision-making and dispels confusion.